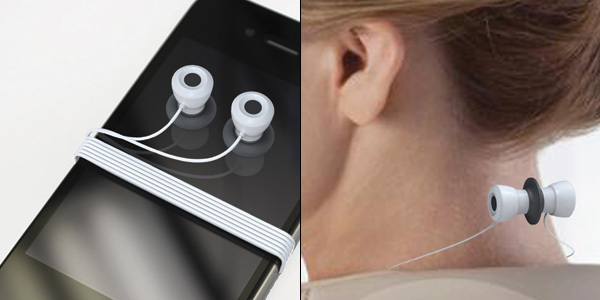 With invention of smart phones, people are used to hear music from their phones using ear phones. Some use iPod or similar kind of music devices. Common part here is the ear buds. 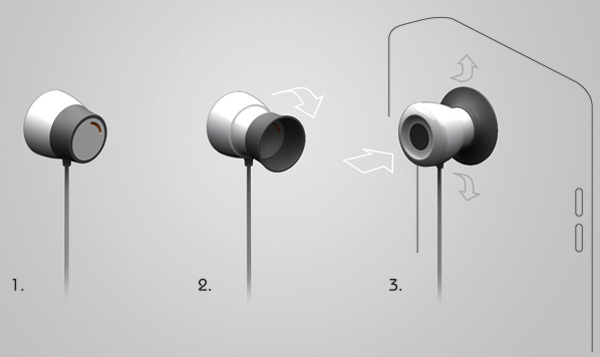 Once you wind up using your ear phones, its difficult to wind them. The moment you want to reuse them, you will atleast spend some time to unwind it. If they are tangled then it may take more than a minute. 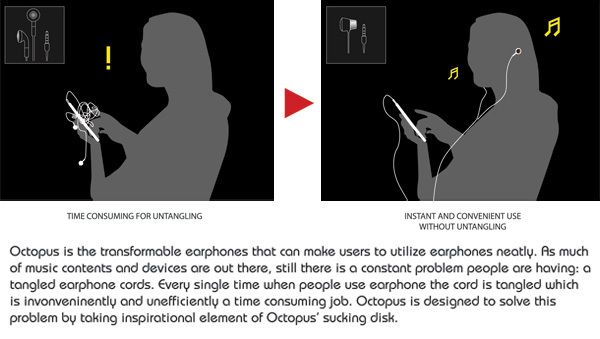 To avoid that difficulty, Red dot design concept designer Donghee suh created a pair of cool ear buds that are easy to manage.The design of this ear buds is from suction cups on an octopus tentacles. 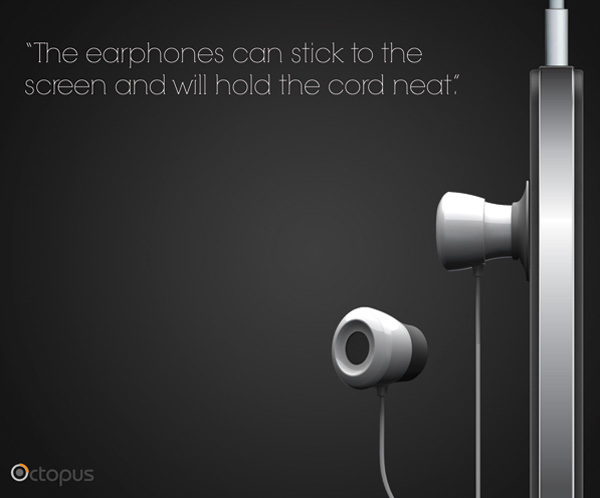 The Octopus earbuds are fitted with a silicon flap, which retract to become an impromptu suction cup. 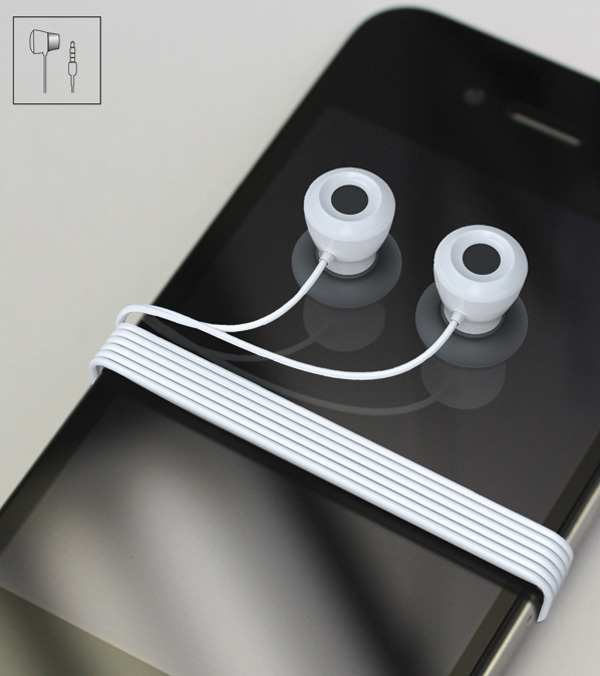 This ways you can easily wrap the cord around your phone/device and hook on the ear buds to the screen, in a neat fashion. 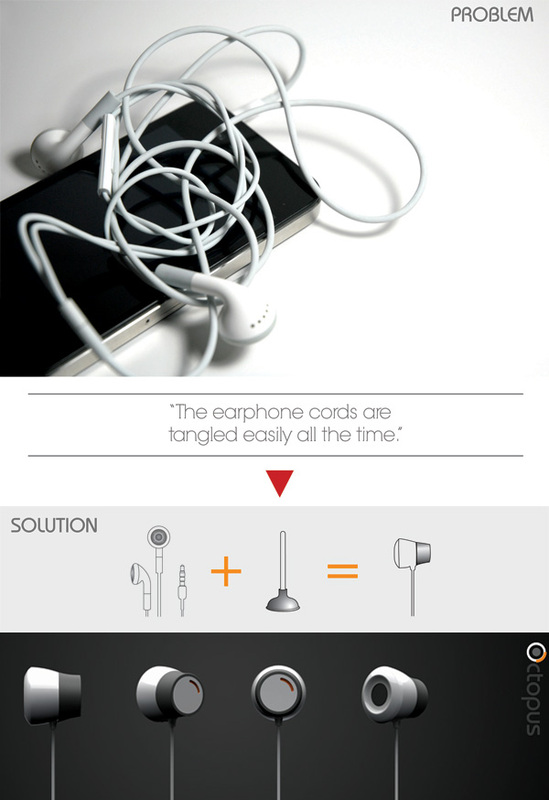 This is a perfect solution for tangle problems. What do you think ? Do you like this design ? If this product is available in market will you buy them ? Share your thoughts in comments.